Angarag Mahanta, popularly known by his stage name Papon, rose to prominence as the lead vocalist of the folk-fusion band called Papon. This Assamese singer has sung in different languages including Hindi, Punjabi, Tamil, Marathi, Mishing and Bengali. Some of his hit tracks include “Ujai Ja Noi”, “Boitha Maro Re”, “Moh Moh Ke Dhage”, and “Kyun”. Angarag Mahanta was born on 24 November 1975, in Nagaon, Assam, India. He’s currently 43 years old. Papon attended Kendriya Vidyalaya School in Nagaon, Assam. He later attended the Motilal Nehru College and Ramjas College from where he earned his bachelors and masters degree. Papon tied marriage knot with Shweta Mishra Mahanta and together they have a son named Puhor Mahanta and a daughter named Parijaat Mahanta. His body stats are currently Unavailable. He hasn’t revealed his shoe size to public. Papon released first solo Assamese album titled “Jonaki Raati” in 2004. In 2012, he released his debut Hindi album titled “The Story So Far’. He has since released a number of albums in different languages and his recent album was “Notun Puhor”, an Assamese album, released in 2017. Subsequently, Papon has sung songs for theatrical films in different Indian languages including Hindi, Punjabi, Tamil, Marathi, Mishing and Bengali. His first film song was “Sajana” for the 2004 Bollywood film, Let’s Enjoy. In 2011, he appeared in the first season of the singing reality show, The Dewarists where he sung the song “Khule Da Rabb’ along with Rabbi Shergill. There’s no information on the brands he has had endorsed in the past or in the present. Hailing from a family of musicians, Angarag got interested in music and learned to sing at his tender age. He has been trained in Indian Classical, Devotional (Borgeet) and Folk Music. He also learned to play the khol, tabla, guitar, and harmonium..
His music covers genres such as ambient electronic, acoustic folk and new-age Indian classical music and it has been identified as having traces of pentatonic Mongoloid notes, local river song influences and ghazals. He wanted to travel around the world and perform in various music festivals as well as to meet different musicians. In 2007, Papon formed a six-member electronic folk-fusion band called Papon and The East India Company. They have performed twice at the SAARC Music Band Festival in New Delhi, the Eastwind Festival and the Kovalam Literary Festival. 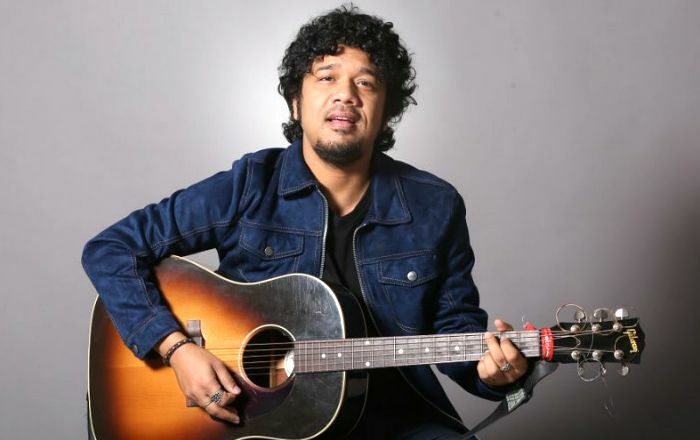 In 2013, Papon composed the theme song for MTV Roadies X: Battle for Glory – “Jajabor” (Jajabor being an Assemese word for yayavar – “travel”). In 2015, Papon and The East India Company performed at Oasis in BITS Pilani Pilani Campus, Dhaka International Folk Fest and in 2016, he performed at Spree in BITS Pilani Goa Campus. Papon has won several awards and honors, including three GiMA Awards, two Jack Daniel’s Rock Awards, and a Screen Award. In 2015, he was declared the “Assamese of The Year” by Assamese news channel News Live. In August 2016, Red Bull released “Hometown Heroes,” a seven-part documentary web series that revisits the story of Papon’s youth and rising career. He has been featured in MTV Coke Studio. He was one of the judges on the Hindi singing reality show “The Voice Indian Kids”. In February 2018, Papon was accused of kissing a minor girl in the reality show, “The Voice Indian Kids.” Runa Bhuyan, a Supreme Court layer, lodged a complaint against him at the National Commission for Protection of Child Rights under the Protection of Children from Sexual Offences (POCSO). Papon stepped down as judge of the show after facing backlash from the Indian masses.